David Bote or Manny Machado? David Bote or Manny Machado? Hmm. Fresh off rumors that they were considering a trade with the Cubs for the versatile (and inexpensive) Bote to play third base, the latest report out of San Diego has the Padres as legitimate suitors for the excellent (and expensive) Machado to play third base. Kevin Acee, who had initially reported the Bote connection and later made an educated guess that Bote would be the Padres’ Opening Day third baseman, now reports that although the Padres weren’t initially involved with Machado, they swung in precisely when a bunch of other teams should have – when it came out that the White Sox’s offer was a mere seven years and $175 million. That report pissed off Machado’s agent, but, hey, if it brought some other bidders out of the woodwork, right? And that’s the thing about a falling market, even for very pricey players – if it falls enough, mystery teams will emerge because a deal is just too good to pass up. 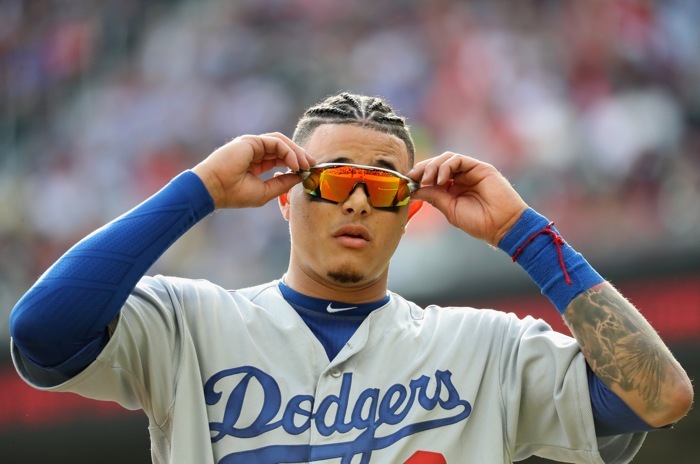 We’ll see if the Padres try to move quickly on Machado before the price tag gets bounced right back up, and we’ll see whether Machado wants to join a Padres club that is shy of contention, but – like the White Sox – boasts a truly impressive collection of young talent and prospects. Even if it weren’t for the Bote angle, this is a really interesting development.